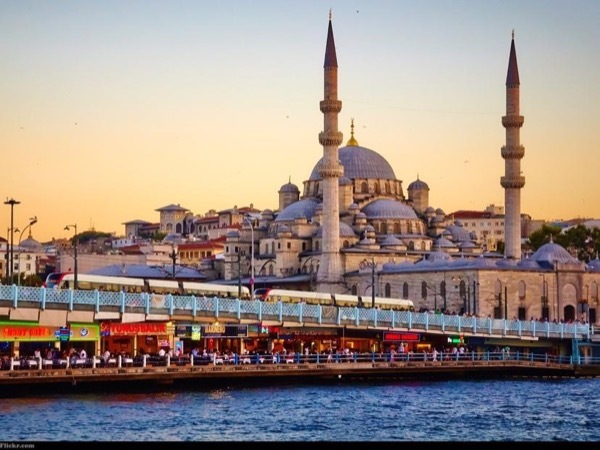 Traveler Reviews for Private Tour in Istanbul, Turkey by Tour Guide Neslihan A. An amazing guide. Neslihan not only makes Istanbul come alive with her knowledge, she is a fantastic companion to have on your trip! Touring the city by walking and public transport gave me the confidence to explore on my own as well. Skip the lines, enjoy the local food, feel at home in Istanbul. If you want to really know this city, Neslihan is your guide. We had such fun with Neslihan! We requested a few things and she recommended others; she put together a wonderful Istanbul experience for us. We visited the well-known places as well as some out-of-the-way places, such as neighborhood streets on the Asian side of Istanbul. She had much information to share with us, wherever we went. She took into consideration our needs along the way. We really enjoyed our time with this very pleasant young woman. We had an amazing 3 day tour of Istanbul with Neslihan. No matter where we were, she was able to bring history to life with her incredible knowledge of the city. In addition to her excellent skills as a storyteller and guide, Neslihan was a pleasure to spend time with. She adapted the days to our pace and interests, recommended good places to eat, and we enjoyed conversing with her. In short, we highly recommend her services. We spent three spectacular days with Neslihan in Istanbul. She is professional, personable, and knowledgeable. She managed our time very efficiently allowing us to get to know the history and culture of the entire city of Istanbul. Neslihan is extremely attentive in all ways. She made sure that we knew what we were purchasing and helped us to negotiate a "fair" price. Additionally, she made sure we were aware of our surroundings and had our belongings at all times. She made our stay "extraordinary"!